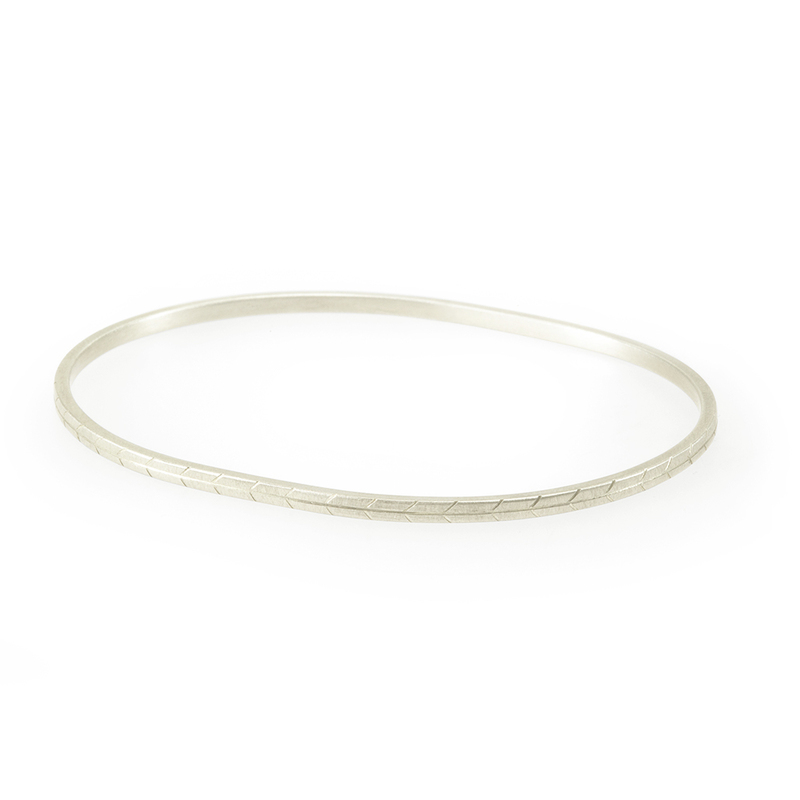 An oval shaped bangle designed to echo the shape of the wrist with a grassveld inspired pattern. 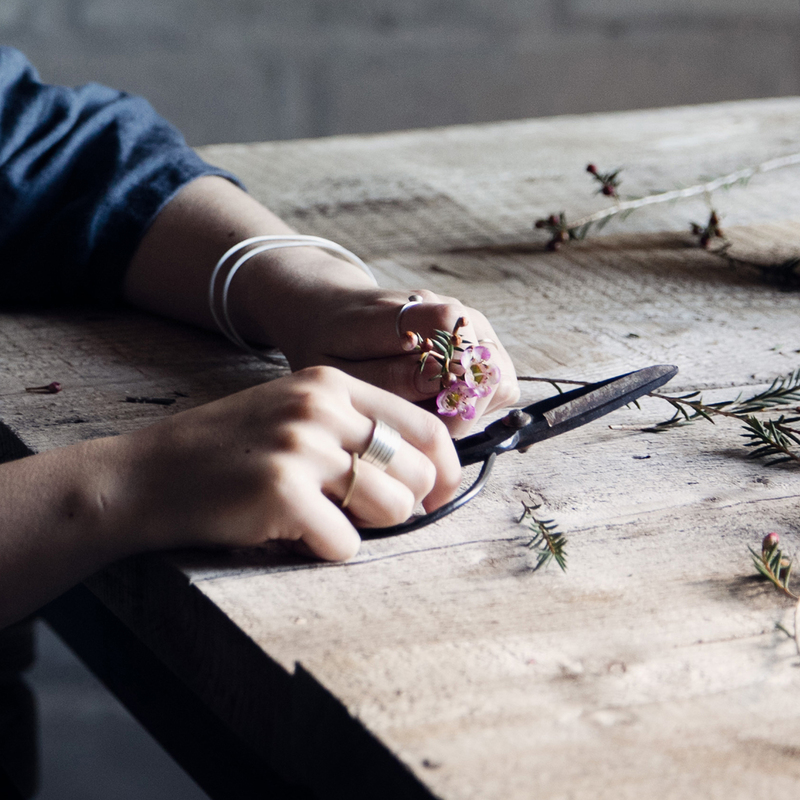 The grassveld bangle is delicate when worn alone but is also a the perfect addition to a group of plain oval bangles. The bangle width is 2.2mm. Notify me when Small Grassveld Oval Bangle is available.